Come along for a fun packed weekend very close to the Welland Steam and Vintage show. This Camping site is separate from the Steam and Vintage show; it’s just a few minutes walk away. Nestling in the shadow of the Malvern Hills in South Worcestershire lies the village of Welland. 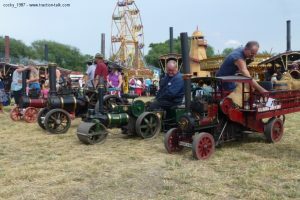 Just to the North East of Welland is Woodside Farm (WR13 6NG) the home of the Steam and Country Fair, held on 130 acres of land owned by the Ross-on-Wye Steam Engine Society Ltd. The Welland Steam and Country Rally is held every year over 3 days, on the last weekend in July. 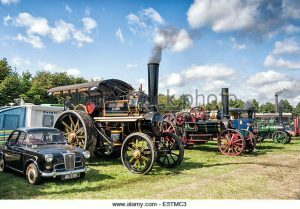 The Rally is a day of nostalgia, sights, sounds and colour for every member of the family as you take a trip down memory lane to the days when steam power reigned on the roads, farm and fairground. Date: 26 to 28 July 2019. Site Fees: £8 pun. Doesn’t include event tickets. Location: Hillcourt Farm, Welland, WR13 6NJ. Directions: From Gloucester North on A 417 to Staunton at Roundabout 2nd Exit on B 4208 to The Malverns once through the village of Welland out of the 30 mph Zone carry on to Cross Roads Turn Right Sign post Upton unclassified Road up the hill and turn right into the site Follow D.A Signs. Entertainment: None (but the Welland Steam Rally is very close by).